Species has a negative short-term population trend and faces threats from loss of native prairie grassland habitats and altered frequency, intensity, and spatial distribution of grazing and fire regimes it is dependent on. CommentBreeding Bird Survey (BBS) data for Montana is of high credibility and shows a -3.3% decline per year or 29% decline per decade. Declines for virtually all surrounding states and provinces. 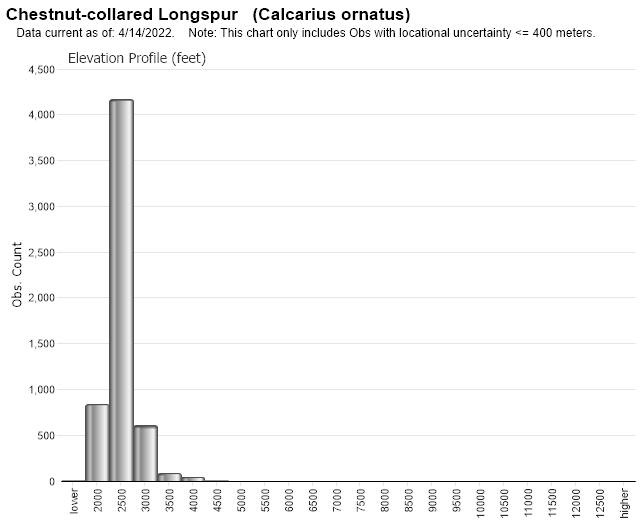 Trends on North Valley County Point Counts between 2001 and 2008 showed a 1% per year increase in the percent of points the species was detected on and a 4% per year increase in the number of birds. 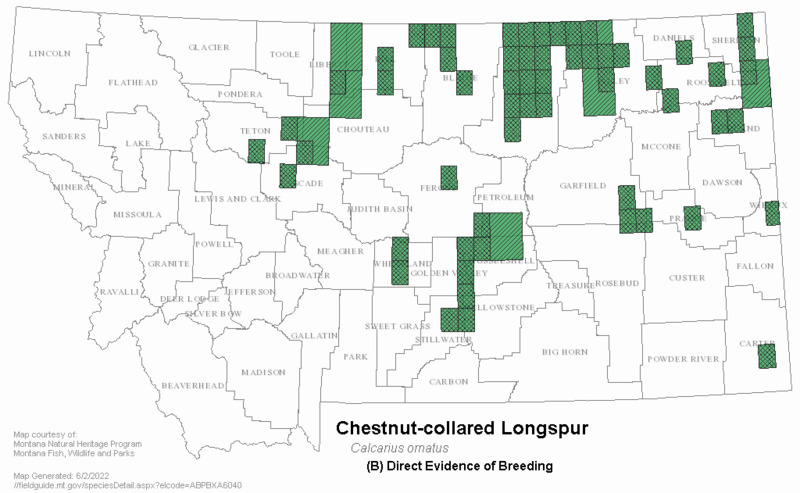 Due to declining trends in all surrounding areas and Montana's large percentage of the global breeding population this is probably best recognized as a class D of decline. CommentLoss of native prairie is the greatest threat to the species, but altered grazing and fire regimes also represent threats. Breeding densities in grazed pastures are 9 times higher than in ungrazed pastures. Densities were higher in cropland than in adjacent tall dense idle CRP lands in North Dakota. Natural frequency, intensity, and spatial distribution of fire and grazing would probably promote species conservation. CommentNarrow Specialist. Dependent on shortgrass prairie (grass height less than 12 inches with less than 8 inches probably ideal for nesting). This species is found to prefer double the density of grass that McCown's Longspur did at North Valley County monitoring points. Score 3.5 + 0.0 (geographic distribution) + 0.0 (environmental specificity) - 0.25 (short-term trend) - 0.75 (threats) = 2.5, but negative trends indicate that rounding to S2 is more justifiable than S3. 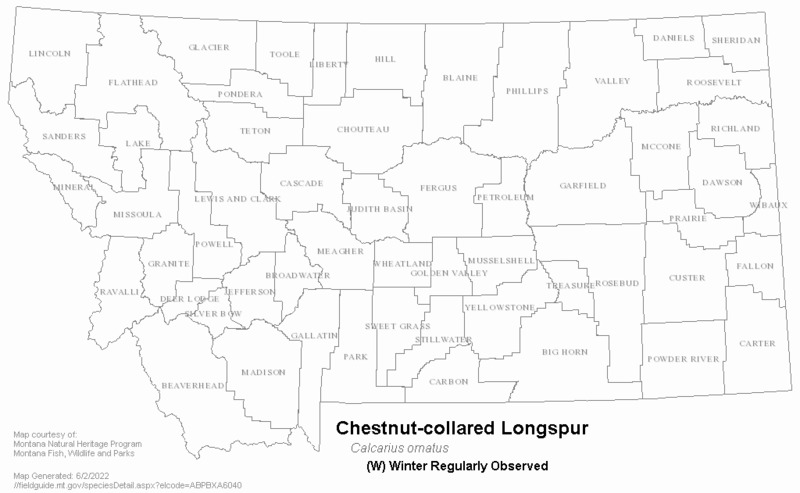 Migrates from breeding grounds in the northern Great Plains to wintering grounds in the southwestern United States and northern Mexico (Bleho et al. 2015). Species prefers short-to-medium grasses that have been recently grazed or mowed. Prefers native pastures. Diet consists of grass seeds, insects and spiders. Males defend territories by performing aerial song displays. The species nests and re-nests between May 6 and the first of August. Double brooded species with three to five eggs per brood. Incubation period 10 to 13 days. Young able to fly 9 to 14 days after hatch. Hill, D.P. and L.K. Gould. 1997. Chestnut-collared longspur (Calcarius ornatus). In: A. Poole, ed. The Birds of North America Online, Species Account Number 288. Cornell Laboratory of Ornithology, Ithaca, NY. Anstey, D.A., S.K. Davis, D.C. Duncan, and M. Skeel. 1995. 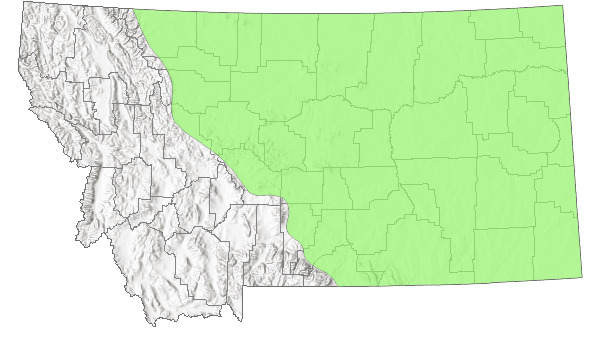 Distribution and habitat requirements of eight grassland songbird species in southern Saskatchewan. Saskatchewan Wetland Conservation Corp. publ., Regina. Dieni, J.S. and S.L. Jones. 2003. 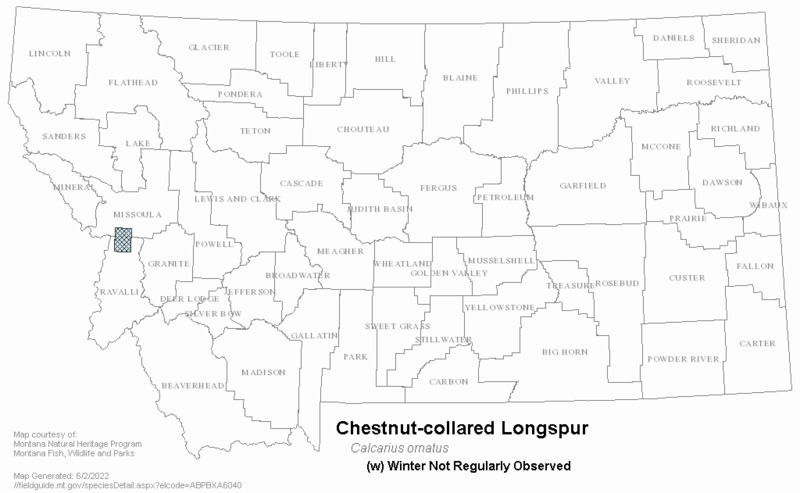 Grassland songbird nest site selection patterns in northcentral Montana. Wilson Bulletin 115(4):388-396. Wyckoff, A.M. 1986. 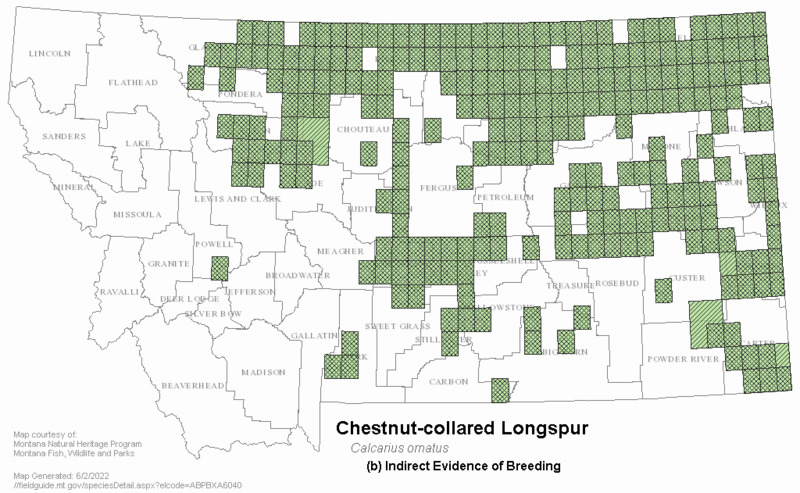 A relict population of chestnut-collared longspurs in western Minnesota. Loon 58: 3-11. 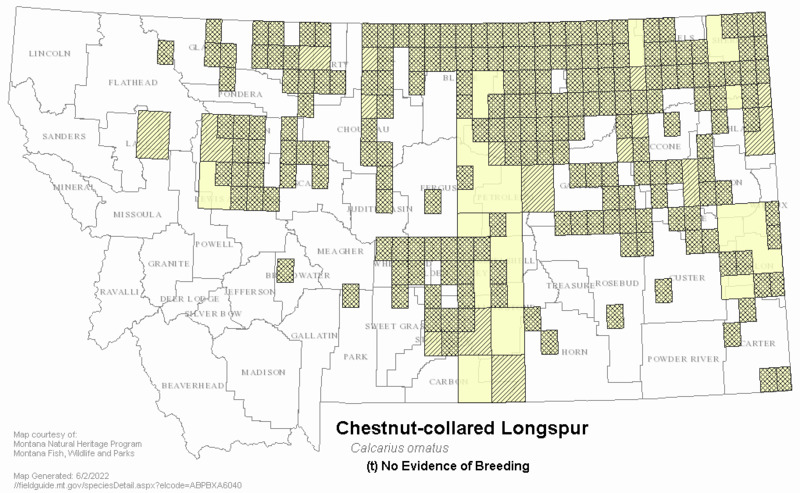 Web Search Engines for Articles on "Chestnut-collared Longspur"